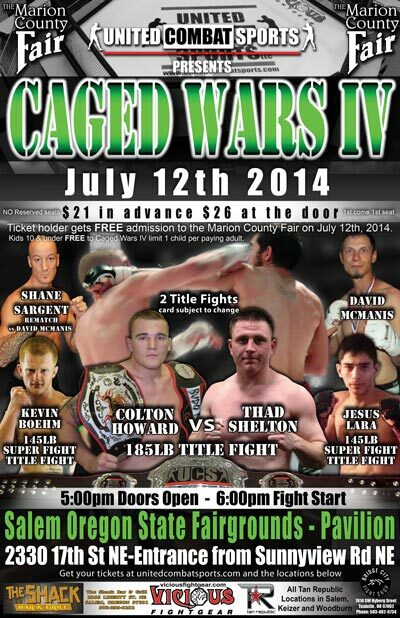 July 12th at the Pavilion Salem Oregon State Fairgrounds. Doors open at 5:00pm, fights start at 6:00pm. Tickets are $21 in advance and $26 at the door, first come first seat (no reserve seating). Kids 10 & under FREE, limit 1 child per paying adult. Ticket holders will also get FREE admission to the Marion County Fair on July 12th, 2014.